Can we prevent Alzheimer's disease? How can we maintain brain health? Certainly none of us would consciously and deliberately choose Alzheimer’s disease, but by the same token, none of us would choose heart disease, cancer, diabetes, or a host of other diseases that are life threatening or otherwise impede our quality of life. And yet, many of us choose disease every day! It is not that we actively embrace disease; indeed, many of us never truly consider the risks of our lifestyle choices. But we often adopt habits that increase our chances of developing cancer or heart disease, certain respiratory diseases, and who knows what else? The question then becomes, can we prevent Alzheimer’s disease by changing some bad habits? Alzheimer’s disease takes its name from Alois Alzheimer, who first described the disease more than one hundred years ago. Since that time, medical science has been searching for a cure, or at least a way to prevent Alzheimer’s disease. New drugs are tested frequently. Each time the hope is that the drug will at least get us closer to a cure, or stop the progression of the disease. The best that medical science has been able to do, however, is very temporarily slow the mental decline that is the hallmark of dementia. Only recently have we come to realize that our best hope to prevent Alzheimer’s may be through natural means. 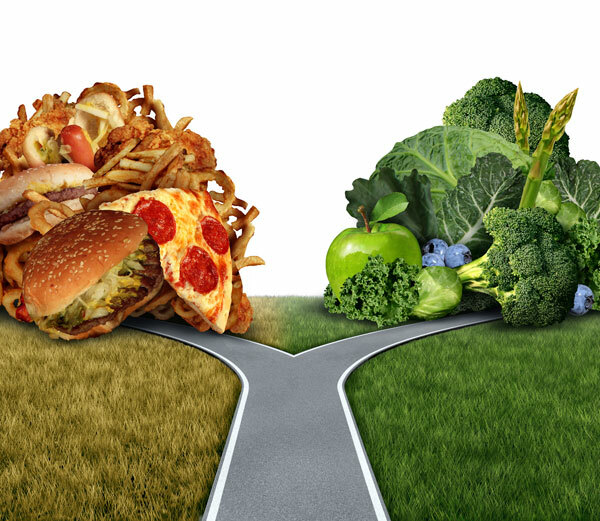 Poor lifestyle choices can increase Alzheimer’s risk..
We have known for some time that diet and certain other lifestyle choices can greatly influence our susceptibility to certain diseases. Tobacco use is perhaps the best known and most sinister of health risks, except maybe jumping out of high-flying airplanes without a parachute. Cigarette smoking accounts for nearly a half a million deaths each year in the United States alone. Medical science now recognizes various elements that can decrease our resistance to Alzheimer’s, including alcohol in excess, certain prescription drugs, and environmental chemicals. 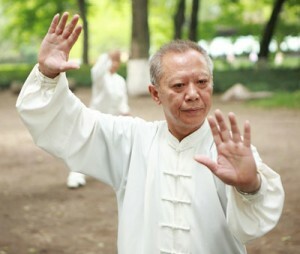 One study reports that tai chi chuan practice increases brain volume. I mention this study to emphasize the fact that the choices we make every day can greatly influence our health, but also because we know that things that improve our heart health also protect us from most types of dementia. But is Alzheimer’s a product of our lifestyle? And can we prevent Alzheimer’s disease? The simple answer is—we don’t know. Not for sure. On the other hand, we are noticing more and more a strong correlation between certain environmental factors and dementia. For example, a study in the British Medical Journal (September 2014) found that the use of benzodiazepines, a drug prescribed for anxiety and sleep problems can significantly increase a person’s chances of developing Alzheimer’s disease. Benzodiazepines are among the most frequently prescribed drugs in industrialized countries. Researchers have long noticed correlations between diet, exercise, and certain other “habits”, and the risk of cognitive disorder including dementia. The banner above helps to illustrate my point. First, I wish to thank Alzheimer’s Disease International for making this illustration available. It was published a few years ago to observe World Alzheimer’s Month , which is September each year. The purpose of the graphic is to bring attention to the fact that we very well may be able to increase our resistance to, and maybe prevent Alzheimer’s, by changing just a few things. Notice the similarities between the suggestions implied by the banner and the suggestions for decreasing the risk of heart attack. Even delaying the onset (of dementia) by 5 years is predicted, in time, to halve the number of people with dementia. These are not recommendations that Alzheimer’s Disease International made up out of thin air. Research supporting their contention goes back quite a few years. In fact, and not to toot my own horn, I wrote an article early in 2010 that made these same suggestions, plus a few, so the information has been available for some time. Now, even Dr. Oz is on board. I have seen several recent articles that quote him touting lifestyle changes to minimize the risk of Alzheimer’s disease. ADI didn’t specifically recommend quitting smoking on its banner; if you smoke it’s the first thing to do if you are contemplating a lifestyle change for health. Even The Alzheimer’s Drug Discovery Foundation, whose mission it is “to rapidly accelerate the discovery of drugs to prevent, treat and cure Alzheimer’s disease”, has a page devoted to lifestyle changes; non-pharmacological considerations that may impact how we treat the threat of Alzheimer’s. The ADDF references the Finnish Geriatric Study to Prevent Cognitive Impairment and Disability (FINGER), one of several investigations underway in Europe that are looking for correlations between lifestyle and cognitive health. According to lead author Miia Kivipelto , “multidomain lifestyle intervention that included nutritional guidance, physical activity, cognitive training and social activities, and monitoring and management of all metabolic and vascular risk factors, including hypertension, dyslipidemia, obesity, and impaired glucose tolerance,” FINGER is slated to wrap up at the end of 2014 but already is already garnering positive results. In other words, maybe lifestyle choices may help us prevent Alzheimer’s disease. If poor lifestyle choices can negatively influence our resistance to Alzheimer’s disease, what impact are environmental factors, over which we have very little control, having on us? A healthy diet of fresh fruits and vegetables, fish high in omega-3 oils, nuts, (more below) is one of the recommendations on most “prevent Alzheimer’s” lists. But if our food is contaminated by chemical herbicides and pesticides, is it potentially doing more harm than good? If fish consumption is lessening our chances of dementia, but the fish is contaminated with mercury and other byproducts of civilization, should we be eating that fish? If food quality is corrupted by unnatural genetic modifications can we assume that it will provide the same protection as will its natural counterpart? One key to help prevent Alzheimer’s disease is to limit our exposure to agricultural chemicals and other environmental pollutants. In some ways, environmental hazards are less egregious than in the recent past. Thanks to regulations our air and water contain less of certain contaminates than they did just fifty years ago. But deregulation of certain industries may change that positive trend. A new onslaught of pollutants will likely bring more risk for disease including dementia. It is possible that the “right” lifestyle could eliminate the risk of developing Alzheimer’s, but we should be realistic in our hopes and expectations. More likely a positive change in lifestyle would delay Alzheimer’s disease, and probably dementia from almost all causes. But even delaying onset by five years across the board could in time cut the incidence of dementia in half. (Dementia Risk Reduction) This decrease would have an enormous impact on the cost of the disease to society, to say nothing of the benefit to quality of life this would provide to the people who do eventually develop dementia five years later than they might have otherwise. Fresh fruits and vegetables – there is, and always will be, disagreement, but I think that organically grown produce is preferable to those grown with chemical fertilizers and in the presence of chemical pesticides and herbicides. I am reading more frequently that organic fruit and vegetables contain more nutrients, and the chemical residue of “conventional” farming can’t be good for health. Certain wild (not farm raised) cold water fish like salmon, mackerel, herring and anchovies; as well as other foods that are high in omega-3 fatty acids, including flaxseed, chia seed, nuts, basil, and others. There are a number of other dietary substances that are worth considering, which we will be writing more about soon, including turmeric, coconut oil, Vitamin D, and diatomaceous earth. Monitor medication carefully – there is growing evidence of a causal connection between certain prescription, even no-prescription, drugs and dementia. Moderate alcohol use – this is one that provokes a lot of discussion, but it won’t go away. But moderate means moderate. No more than the equivalent of two glasses of wine per day. Some advocates say that the form of the alcohol doesn’t matter; others say that red wine is the only drink that has any real benefit. There are a couple of other possible treatments are coming to the fore that will certainly garner criticism. 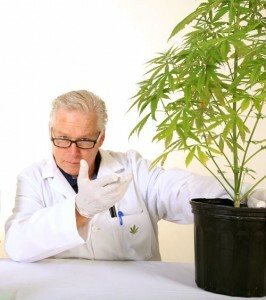 THC, the active ingredient found in marijuana, may be able to stop or even reverse the progression of Alzheimer’s disease; and psilocybin, the compound that gives “magic mushrooms” their psychedelic properties, may be able to grow new brain cells. More on these in upcoming posts. Smoking and tobacco use – if you smoke, stop. This is probably the number one recommendation regarding almost any health-related lifestyle change. All of the suggestions above relate directly to improved health. Even if dementia is not a concern, adopting some or all of these will improve your general quality of life. Our original question was, can we prevent Alzheimer’s disease by changing some bad habits? Maybe not, but it is looking more like we can at least delay it; and who knows, maybe someday it is this avenue that will lead us to a cure. Please let us know what you are doing in an effort to stop dementia. Or have you or someone you know with dementia benefited from a lifestyle change, or something added to the diet, like coconut oil? Science is a funny process, especially when it involves subjects as complex as people and brains. There are, for example, conflicting findings concerning the possible connection tobacco smoking has to the incidence of dementia. The study¹ sited to the left is one of several studies that reported an increased risk of Alzheimer’s in current smokers. On the other hand, the study² found a moderate amount of protection associated with “ever having smoked.” Incidentally, the study by Reitz found no difference in Alzheimer’s incidence between non-smokers and people who smoked at one time but quit. So, if you are a smoker and at all concerned about the possibility of dementia, quit now. Results reported by Eric B. Larson, et. al.³ followed a group of 1740 persons older than age 65 for a mean time of 6.2 years. The finding of this group “suggest that regular exercise is associated with a delay in onset of dementia and Alzheimer disease..” This is only one of numerous recent studies that attribute physical exercise to dementia prevention. Other published studies report that a Mediterranean diet, fresh fruit and vegetables, social interaction, fish(especially those high in omega-3 oils), folate, antioxidants, and even red wine can contribute to one’s resistance to neural disorders. Of course, none of these findings are conclusive, but they do point in a singular direction.Want to prevent Alzheimer’s? Eat right, exercise your body and your brain. Enjoy the company of others. In other words, live a healthy life. It would be a major benefit to society if we could reduce the risk of dementia. It is estimated that Australia in 2007 has over 220,000 people with dementia and it is predicted that by 2050 there will be over 730,0001. Even delaying the onset by 5 years is predicted, in time, to halve the number of people with dementia. But can we truly prevent or delay dementia, and what can we do to reduce the risk of developing dementia? Where can I get some psylocybin? haha. Not in USA of course, as it has been deemed dangerous by big brother. I’m sorry, Fran. We aren’t very familiar with the New York area. Perhaps some of readers might be more helpful. I also suggest that you contact your local chapter of the Alzheimer’s Association. The city chapter is at https://www.alz.org/nyc/, or you can find other New York chapters at https://www.alz.org/apps/findus.asp. The Alzheimer’s Foundation, https://www.alzfdn.org/ is also based in New York City. We just put my mother in the nursing home yesterday with dementia.